The club plays at Bayliss Avenue, with an official capacity is 1,000 (the vast majority standing). The ground was officially opened in August 1988 with a match against the then FA Cup holders Wimbledon. 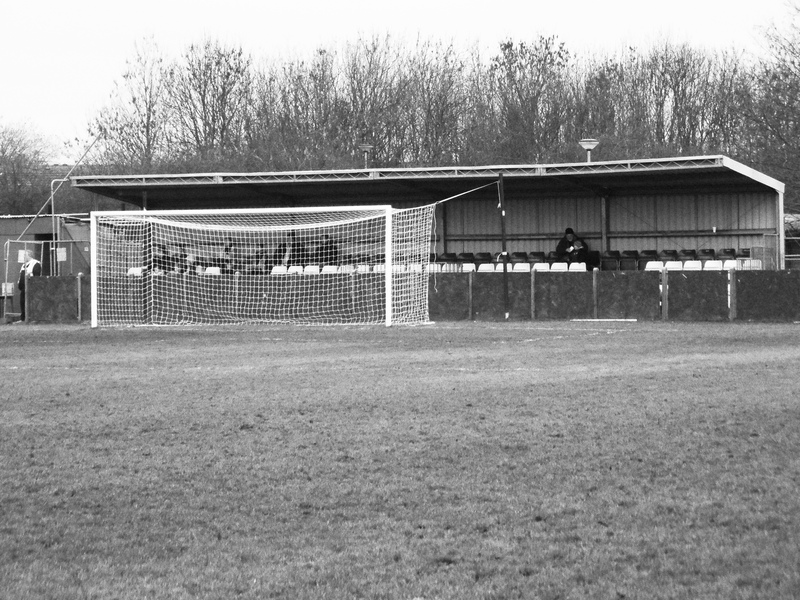 The clubhouse, pitches and car park and other original facilities were constructed at a cost of £450,000, and further improvements were carried out in 2000, including the addition of perimeter railings and hard standing on the dugout side of the pitch. Improvements have continued since then, including the erection of a new 125 seat stand, replacing two smaller stands with bench seating. The club carried out remedial work to the ground in March 2008, in order to comply with ground requirements to play at Isthmian League level. This work included adding an additional 36 seats to the seated stand (increasing the seating capacity to 161), building a temporary covered stand, enclosing the ground with a wooden fence and adding two turnstiles as well as outside toilet facilities. The remedial work was passed by F.A. inspectors on 1 April 2008. Development began on a new £4.2m redevelopment of the Bayliss Avenue ground in May 2009 as part of the Sporting Club Thamesmead project, co-ordanted and part funded by local leading development agency, Trust Thamesmead. Completed in 2012, the main arena now comprises of a 300 seat stand with a balcony over looking the main pitch from the pavilion (this is in addition to the existing 161 seater stand, relocated to behind the goal in 2009/10 to enable development.) The pavilion contains a bar, changing facilities and an indoor sports hall and gym. The next phase of redevelopment will see the main arena pitch surrounded by covered terracing with the rest of the ground comprising of a second 3G sports pitch, two additional football pitches and multi use outdoor sports facilities available seven days a week to the local community. How to get to Bayliss Avenue The nearest train station is Abbey Wood which is 2 miles away. From the train station, go to bus stop C get a 244 and alight at the roundabout at Carlyle Road. From here it is a 10 minute walk along Crossways where Bayliss Avenue is the 4th turning on your right. There are four buses that stop outside Bayliss Avenue – 177, 229, 401, 473. By car if you are coming from the M25 then exit the motorway immediately before (if going north) or after (south) the toll onto the A206. Simply continue along this road, through Erith and Slade Green over a number of roundabouts. When you reach Thamesmead take the first junction (s/p A2041 and turn right at the roundabout onto Carlyle Road. Then take right into Crossway. Bayliss Avenue is a few hundred yards down this road on the right hand side. There is plenty of free parking at the ground. Admission to Bayliss Avenue It’s £10 for adults and £5 for concessions. Programmes are £2 Our last visit – Thamesmead Town 0 Wealdstone 2 – February 2014 .Most clubs and their fans expressed concern about the decision to increase the league size from 22 to 24 teams last year. Winter’s have been harsh in the Non-Leagues in recent times, resulting in some huge fixture pile ups which devalue the whole point of playing a league over nine months. The answer? Well, we could opt out of the Ryman League Cup if we wanted – hardly a compromise in most club’s eyes. Surely the most logical option would have been to start the season a week earlier (as the Football League did) or even extending the season into May (as the Football League do). Common sense? My Saturday mornings recently had taken on a similar theme. Draw up a list of potential games to go to, watch them all slowly fail pitch inspections via Twitter and then at 2pm scramble around for a game to go to. These days it’s not just about watching a game for a game’s sake (cue corporate line here for the sake of the Current Mrs Fuller), I had the opportunity to do some secret scouting on one of our forthcoming opponents. With three of them managing to have a game within half an hour of TBIR Towers I had my afternoon mapped out. The lucky winners were Thamesmead Town who were hosting high-flying Wealdstone. Romance was still in the air when I arrived at Bayliss Avenue. 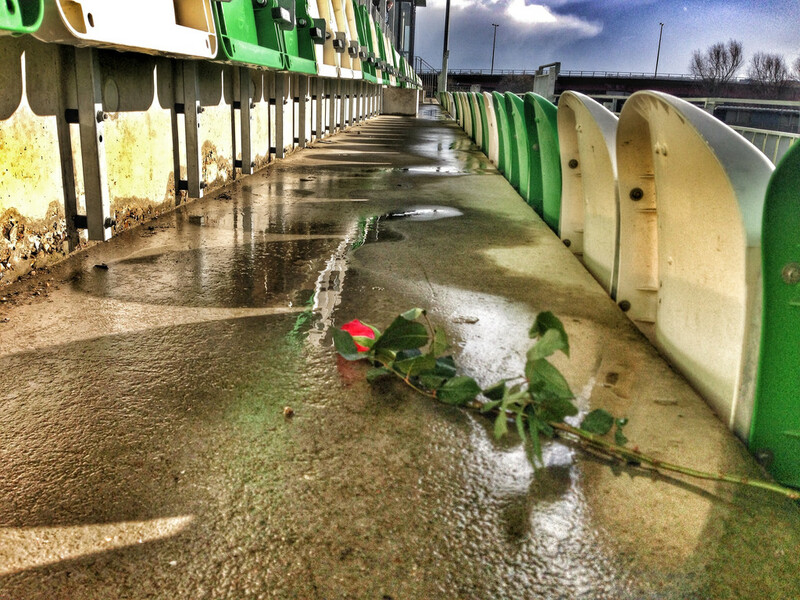 The club was handing out roses to any ladies coming through the turnstiles to mark Valentine’s Day. The club have made massive strides in recent years, converting the basic ground into a real community facility. The installation of their 3G pitch adjacent to the ground has given them an ongoing revenue source. 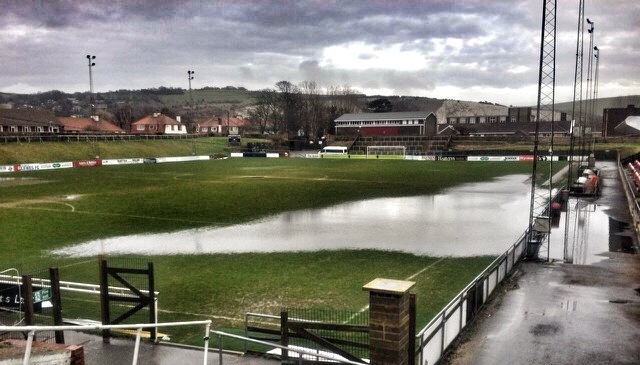 In harsh times like these, many clubs in the lower steps of the Non-League structure in Kent have been using the facilities here to play their games. No irony here at all that clubs with fewer resources are the ones who have the means (and are allowed) to continue to play their games. 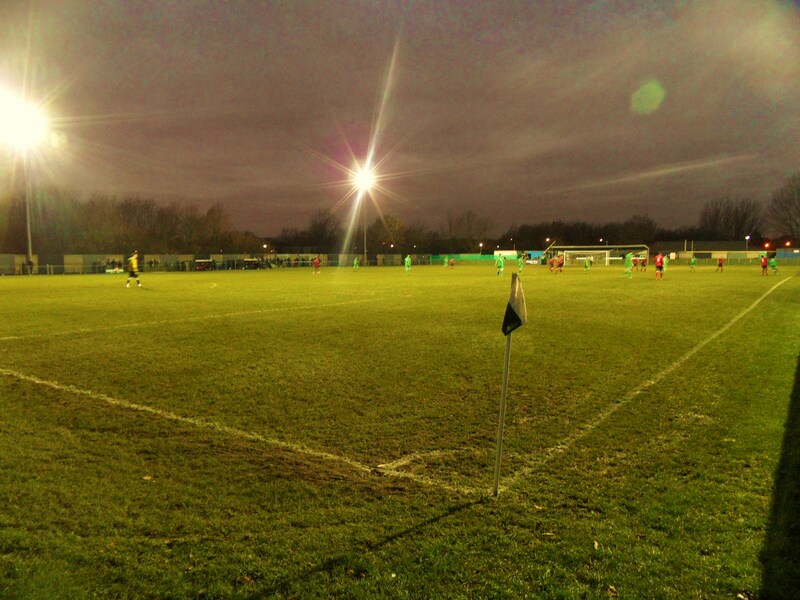 Despite having the facilities at their ground, Thamesmead Town aren’t allowed to use the pitch for themselves if the main pitch is unplayable. Wealdstone were the visitors, almost doubling the average attendance at Bayliss Avenue and boosting the takings over the bar. You cannot fault their loyalty to following the Stones away from home, with well over a hundred fans making their first visit to Thamesmead to see whether they could make up ground on the top two, Dulwich Hamlet and Maidstone United. With so many teams having played different numbers of games, it is hard to really see what the true league positions should be. Lewes had dropped down the table from 7th in late November to 12th before this game, both as a result of a serious lack of games, but also due to drawing six of the eight games in that period. So what would the real league table look like if we had been able to play all of the scheduled games? Well thanks to my complex financial modelling I can now exclusively reveal what the true Ryman League table would look like. So the visitors would be sitting pretty at the top if all things were equal. But we know that football isn’t that predictable, otherwise my weekly accumulator would see me dine on Filet Steak and drinking Adnam’s Ghost Ship every week. Thamesmead Town 0 Wealdstone 2 – Bayliss Avenue – Saturday 15th February 2014 Prior to kick off, Thamesmead manager Keith Mahon was recognised for the performance of the month for January with regard to Mead’s fantastic 4-1 victory over league leaders Maidstone United. Any hopes of a repeat performance over another Stones team dissolved within 90 seconds of kick off in the bright sunshine when James Hammond overlapped down the right hand side, whipped his cross in and Michael Malcolm swept the ball into the net. The romance was dead. In truth this was a walk in the sunshine for Wealdstone who were rarely troubled. Thamesmead got stronger as the game progressed, playing the ball around midfield well although without any threat up front, the Wealdstone centre-backs had an easy afternoon. At half-time Bartlett saw a weakness in the Thamesmead backline (he must have been reading my notes) and changed the 4-3-2-1 to a more traditional 4-4-2 with Malcolm pushed in from a wide position to play alongside McGleish up front. Sorry, tactical analysis over. Fifteen minutes into the second period Wealdstone were awarded a penalty. No real complaints on the decision, although the referee had let worse challenges go at the other end of the pitch and so you could understand the frustration of the Thamesmead bench. Cronin stepped up and smashed the ball home to double the lead. Full-time saw the Stones fans celebrate a decent win. Their afternoon was made all the more sweeter by defeats for Kingstonian, Dulwich Hamlet and Maidstone United. It’s still not clear what the situation with Maidstone United is in terms of whether they will be allowed to even take part in the Play-offs but with wins for AFC Hornchurch and the form of Bognor Regis Town with seven wins out of their last eight games it may not yet be a done-deal. Perhaps romance isn’t quite dead, although it may take the creative brain of Shelley, Byron or Audley to find a story that sees Thamesmead avoiding the drop at the end of the season. Our last visit – Thamesmead Town 0 Redbridge 2 – January 2011 The word Thamesmead normally drives fear into the heart of South East Londoners. The town was seen as innovative when it was constructed in the late Sixties on the old Royal Arsenal site by the GLC. Flooding had been an issue in the area so the initial developments were built so that the flats were on the first floor and linked by a series of walkways and bridges. Sounds idyllic right? Well not quite. Mismanagement of the whole project that initially was planned for 100,000 was rife from the start. Promised transport links never materialised (even today with 50,000 residents there is not train station), instead replaces by a dual carriageway that dissects the development, a sewage works and of course Belmarsh high security prison. To me the word Thamesmead means five things. 1. It was used by Stanley Kubrick to represent the desolate and lawless future in his classic film A Clockwork Orange. 2. It was supposed to be the starting/ending point of the third London river crossing, and a ground breaking ceremony was arranged. Unfortunately today commuters still have to suffer the daily queues at the Dartford and Blackwall Tunnels. 3. Thamesmead was exposed by the BBC in 2009 as the “fraud capital of England”. 4. 2010 The Apprentice winner Stella English was born and grew up in Thamesmead. 5. Andy “The Viking Fordham, once BDO Darts World Champion has a pub, The Cutty Sark, there. But we are not here to discuss more trifling matters of society. Today is all about football. 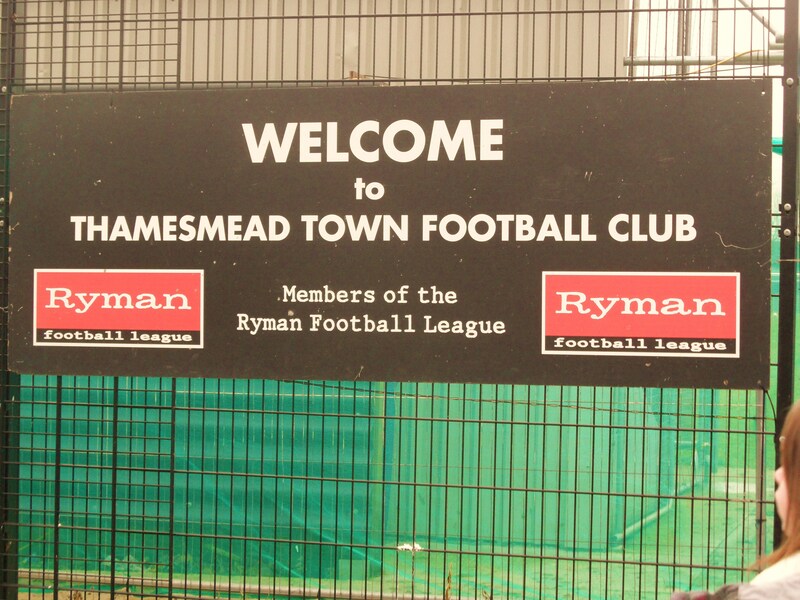 Football and Thamesmead are hardly two words that people fit together naturally, but I think that soon they will. At last – 200 words in and I can stop my social lecture and start talking about football. Thamesmead Town are currently in their third season in the Ryman League North, having been promoted in 2008 from the Kent League. What is remarkable is that the club have simply continued to grow year in year out, and it can only be a matter of time before they end up in the Isthmian Premier League. The club made their debut in the Isthmian League Division 1 North in 2008/09 with great anticipation, but also trepidation. It turned out to be a long season, which took time for the team to adjust to losing games by just the odd goal, it was a steep learning curve in season where the club avoided relegation and which was followed behind the scenes by BBC London in their fly on the wall documentary, “The Gaffa”. 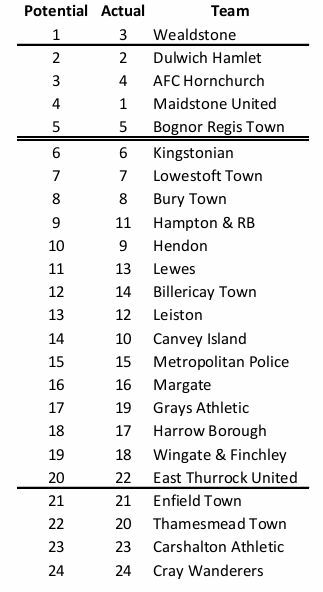 However, in 2009/10, the first team consolidated their Isthmian League Division 1 North status finishing the season in the highest position in the clubs history, in 7th place, just outside the play off positions. Coming into the Christmas period the club were again in 7th place. As with most clubs at this level, December was a terrible month with just one game being playable meaning not only a potential fixture pile up but also a loss of revenue from a lack of match day activities. With so much money being invested into the Bayliss Avenue ground, it has been a crippling time for the club. Building work on the new stand and club house had been delayed due to issues with the builders, rendering the club’s car park more like the Hippo enclosure at London Zoo. So, New Year, new weather? Absolutely, so we made to short hop across from SE9 for the game against the Motormen of Redbridge. As the crow flies this was the second closest ground at this level or above to TBIR towers (Welling United being the closest) so it was quite amazing that we had not yet made the trip to see the Mead. It would also be a chance to meet their coach “Baldy1974” aka Hugo Langton who loves his banter and doses of realism via his twitter feed. Thamesmead Town 0 Redbridge 2 – Bayliss Avenue – Monday 3rd January 2011 Thamesmead has certainly changed over the past few years. Smart new houses had gone up on the land around the outside of the “town” and driving down to the ground you could see that at last the authorities were putting in some infrastructure for the residents. After negotiating the mud bath car park, we went into the cavernous club house for a swift half. This was possibly the most unusual room we had seen. It was essentially a bar, but on one side were doors marked “home”, “away” and “referee”. Players and coaches kept popping in and out, tempted by the smell of beer and bacon rolls. The ground will be dominated by the new stand and club house when it is finally finished. For now the “main stand” is a five row temporary structure behind the north goal, with just standing around a barrier for the rest of the ground. With the A206 passing almost overhead to the south, and planes coming into land at City Airport it was refreshing to see both teams keeping the ball on the muddy ground. Thamesmead would have fancied themselves for the win in this one, but in a cagey first half it was Redbridge who created the best chance when Hyun-Jin Lee pulled his shot across the goal when put through near the end of the half. Lee was lucky to be still on the pitch after appearing to stamp on a Thamesmead player right in front of the bespectacled “Assistant” referee, who of course didn’t see it. During the first period we saw the return of the snow, albeit quite light but enough to have fixture secretaries crying into their beer with the prospect of more games to re-arrange. It is bad enough as it is that at this level clubs will be expected cram in two or three games a week, simply to adhere to the League’s rules about when the season has to finish. Flexibility is not a word in their vocabulary. We ventured back into the warmth of the bar at half time, and caught up on events down at The Dripping Pan where Lewes were losing 3-1. Amazingly enough, as perceptive Lolly pointed out, Lewes could be visiting Thamesmead in a league game in just eight months based on current form. Three seasons ago the Rooks were heading for the Blue Square Premier, whilst Thamesmead were still in the Kent League. Football is a cruel game sometimes. The second half was already under way by the time we headed back out of the warm bar. Whilst both teams were committed in midfield, spread the ball wide when they could, and looked assured at the back, there was few chances going begging. If I could get bloody T-Mobile to actually work then I would have had a bet on 0-0 there and then. Lolly, bless her, after her 30 minute queue in the pouring rain on Saturday for chips, was not on tip top form and so being a great Dad (I was accused otherwise on Saturday for letting her queue up whilst I was in the dry and warm bar) I suggested she went back to the warm bar. Just as I came back into the ground Redbridge took the lead as Hyun-Jin Lee powered the ball home after Thamesmead had failed to clear the ball into the penalty area. One became two a few minutes later, although I really cannot tell you what happened. In a game where the attendance looked less than 100 one of the 2 or 3 people actually taller than me decided to stand in front of me. Apparently the ball went over the line, although the home team appealed for a foul on the keeper, who lay prostrate on the floor. When I asked the chap in front of me what happened, he told me he had no idea as he was on the phone. Thanks for that! Thamesmead threw the ball forward in a more direct style in the dying minutes but the Redbridge keeper, Nathan Fletcher, was rarely called into action. For a game that was played at such a pace, and along the floor with tackles flying in from all sides it was amazing that the referee did not have to reach into his pocket at all. Full time brought some big cheers from the Motormen, and some long hard looks into the ground from the Thamesmead. Whilst they have games in hand, they would have expected to have beaten Redbridge and pushed themselves into the play off spots. After the game we caught up with Hugo to talk about all things Non League football. Here is a man who lives and breaths football. Every name I dropped into the conversation he seemed to know. I would hate to see his phone bill at the end of the month, but without men like Hugo there would be no football at this level. We could have chatted for ages about football but we had to get back to TBIR towers. But don’t fret dear readers, we will be back to see and chat to Hugo soon as part of our “Unsung Heroes of Football” series. 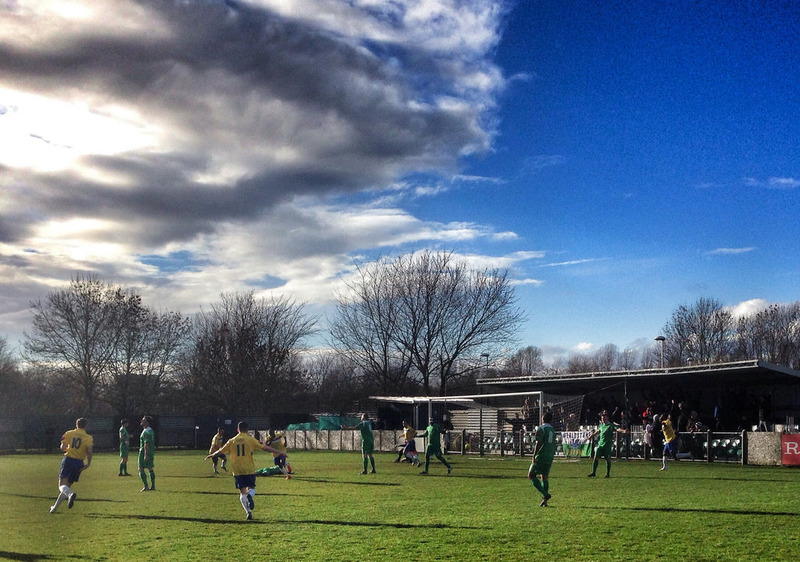 So a chilly January afternoon in SE28 brought to an end our Christmas treble of games. From Carshalton to Thamesmead, via Copenhagen and Gravesend it had been an eventful few days. But would we do it all again? Hell yes! Bring on the Easter extravaganza! More pictures from the afternoon in Thamesmead can be found at our Flickr stream here.